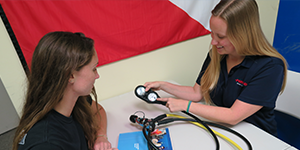 Here at Force-E Scuba Centers, we offer the best and highest quality equipment to make your scuba experience one you will never forget. Being the best dive shops in the South Florida area, we offer everything from scuba lessons, to scuba regulator services, to pole spears and spear guns. Along with dive certification courses, our trained professionals give students a chance to enjoy the warm and tropical waters while getting their scuba certification. 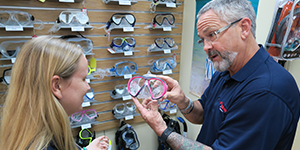 Force-E Scuba Centers are the locals’ first choice when it comes to dive shops. Customer service comes first and our staff dives the same equipment we sell so we know the best gear to fit your personal diving style. Our instructors have years of teaching experience and they hold multiple certification agencies for different teaching styles. We offer basic scuba classes, professional level classes, technical diving classes, and freediving classes. We use only premium compressors and our filters are maintained to the highest standards. 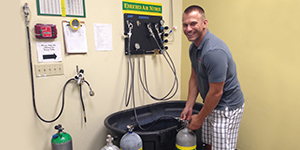 We can mix any blend your next dive requires. From Air to Nitrox to Tri-Mix...we have it in the bank.